A grow tent is a tent that you erect inside a room to grow plants. There are many grow tents in the market and every seller claims theirs is the best. However, as you will see when you go to buy one, they are all different. Never make a blind buy especially since this is something that will determine the quantity and the quality of your harvest. See our review of Top 7 Best Small Grow Tents. With a grow tent, you can control the conditions under which your plants grow. This means humidity, CO2, water, light and other elements are under your control. You play a full part in determining how your plants grow. You can also keep away pests and insects. Granted, outdoors, there are many insects that help in pollination, but the harmful insects are more than the helpful ones. A grow tent keeps them away. You can grow your plants away prying eyes if what you are growing is a bit sensitive. If you are growing marijuana for example, you would need to keep it intact in the grow tent since its aroma gives it away. It even attracts animals. That is not what you want. You can induce flowering and fruiting at your most appropriate time. Why wait the same time as people who are growing their stuff outdoors? Just find out how you can elongate the light or darkness and induce blooming. A grow tent will last a long time – therefore it is mostly a one-off buy for you. If you get one of high quality, it will last many years. Thus, you can keep growing and getting more value for your money from the same. Hydroponic grow tent comes in many varieties and sizes. Some are cheap and some are expensive. As you will see on Amazon, this is a very popular brand. They come in dull colors to enhance darkness in the interior. Secret Jardin tents are also highly rated on Amazon and other online marketplaces. If you are looking for a grow tent that has some panache and will do the job perfectly, this is it. Apollo Horticulture is another brand name that has made quite a name for itself in the market. Highly rated products, many features and the durability make these grow tents a good choice for marijuana and other plant growers in the market. The budget is pretty much what everything starts with. However, you should not go for the cheapest tent in the market lest you be disappointed. There is a good way for you to know a good grow tent. Look for the same in the online marketplaces like Amazon where you can read the customer reviews before buying. Whatever worked for them will most probably work for you. Now, there is no sense in buying a grow tent that will let in light since you have your own special grow light. That is why the tent must be very dark. Once you buy it, zip yourself inside and zip it up, see whether it is completely dark. Check the seals around the zip carefully. This is where most light gets in. If there are small leaks, they are of no great consequence since you can seal them with bees wax. However, it is another matter altogether if you there is too much light coming in. You might want to return the grow tent for that. This means the size of both the tent as well as the space that you have set aside for it. Before making the order for your grow tent, measure the space where you are going to put it and then buy a smaller tent that will fit in and leave space for you to move about. How many plants would you like to grow at a go? You ought to know the plants that you are growing. How high do they grow? There needs to be enough height in the tent to allow for their growth. You will most probably hang your grow lights in the tent plus some other paraphernalia. They all have weight. Setting up the tent should be easy with the rigid ducts since it is totally hands-free. You should be done in a few minutes. Well, most likely, you will be growing for a long time and you do not want to keep going to the stores every year to buy another tent. 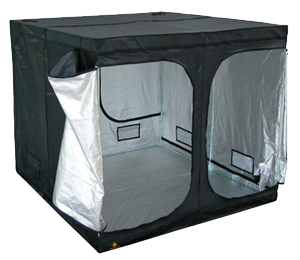 Thus, you need a grow tent that is made of tough material, for example, hemp canvas as that will last a long time.